Discussion in 'General Flight Jacket Discussion' started by Chevalier, Jan 31, 2019. Sorry for not responding sooner. I was out all day today. 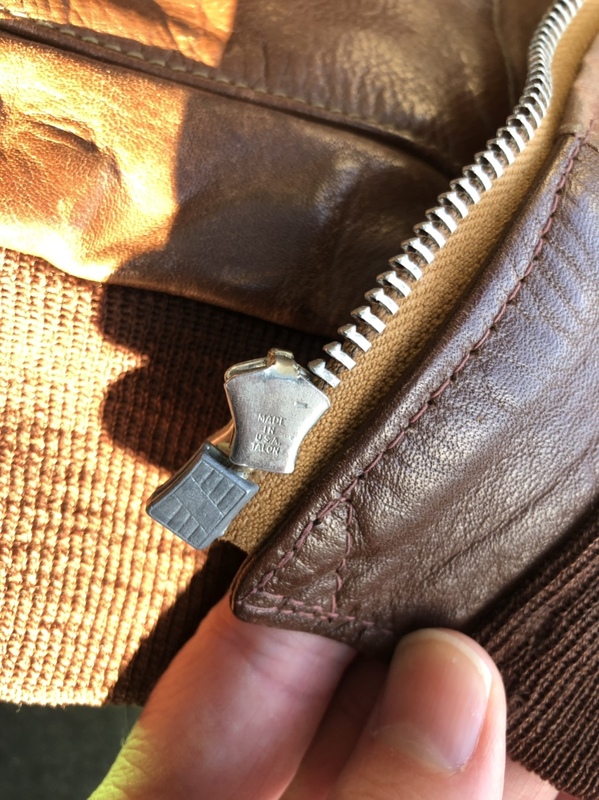 It sounds like a picture of the shoulder/epaulet and shoulder seam would be helpful for a more definitive identification. Here are pics. The first photo is of the epaulet. 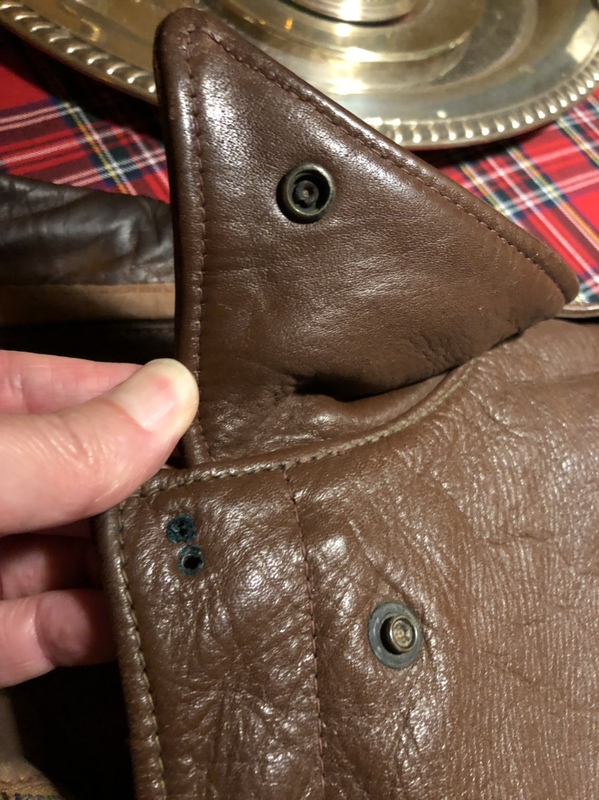 The shoulder seam is underneath the epaulet. 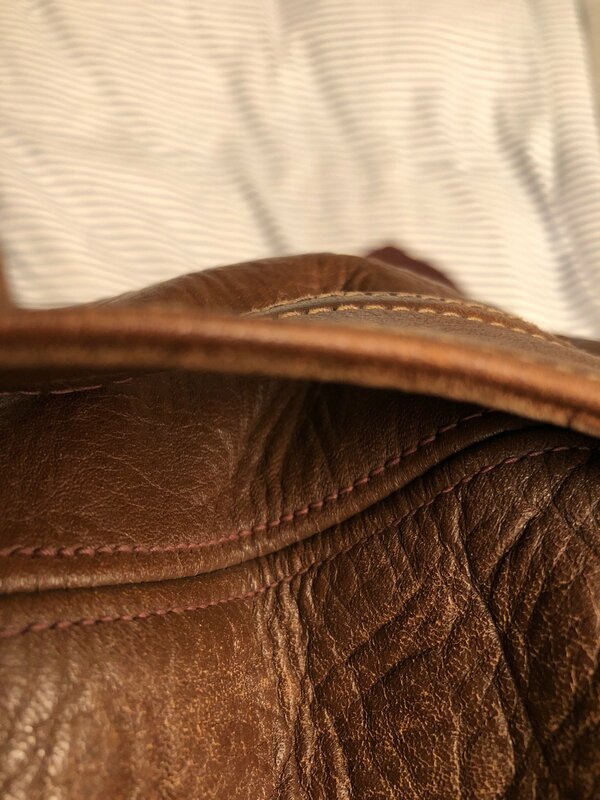 Hopefully, I got the angle right to show the position of the seam and enough detail of the seam to be helpful. Let me know if I should try again or take a different photo. Thanks again for all the help, wisdom, and expertise here. Flightengineer, Pilot, 2BM2K and 1 other person like this. It's like the Bentley in a barn, is the A-2 in the charity shop. You've done really well, nice one! Chevalier, Flightengineer and MikeyB-17 like this. Then the jacket is an United Sheeplined. You have a really nice jacket there. Chevalier, Flightengineer, Ken at Aero Leather and 1 other person like this. Agree, but a great jacket anyway. You are lucky. Great find! By the way, does the jacket fit you? Or did you buy it for speculation? Great find, why does this never happen to me! Flightengineer and Smithy like this. Thanks everyone for helping me ID this jacket. It is gives me a great starting point to learn more about A-2s. Thanks for the references for learning more, too! Holy cow, it is a USL, my third favorite contract being the Dubow and the Star. What a find. 1. Would it be ok to wear this jacket? I ask because people have mentioned that it was a small production contract. 2. If I do wear it, what sort of care/maintenance would be appropriate? 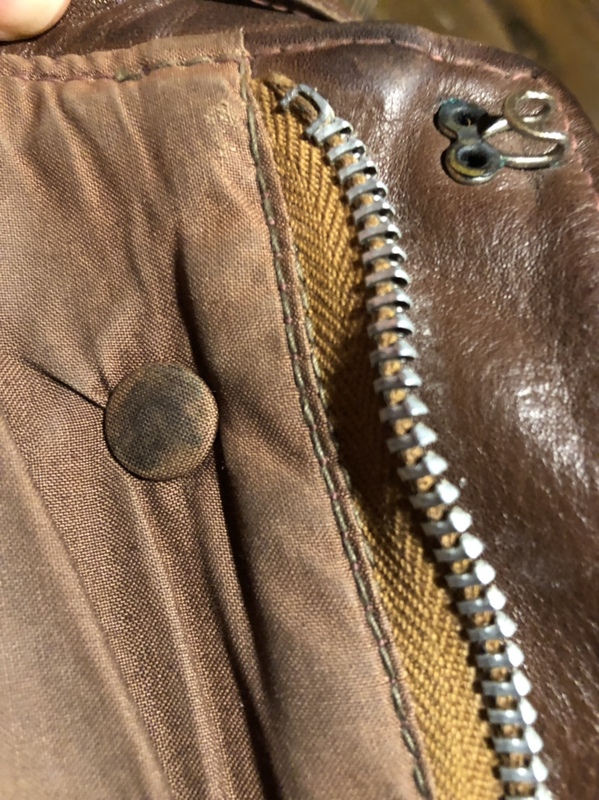 I have been doing a lot of reading about museum/archival preservation, but they do not need to keep their jackets wearable. 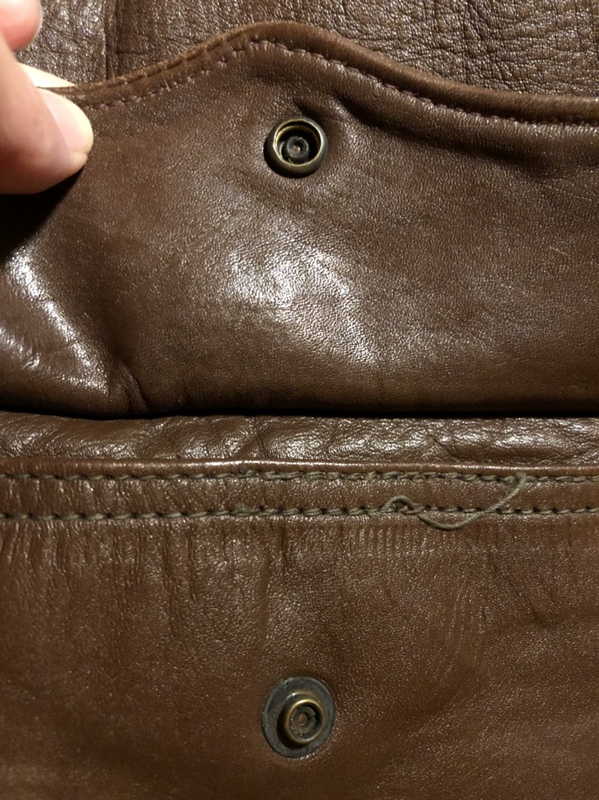 Keeping a jacket wearable seems like it may detract from its long term preservation. 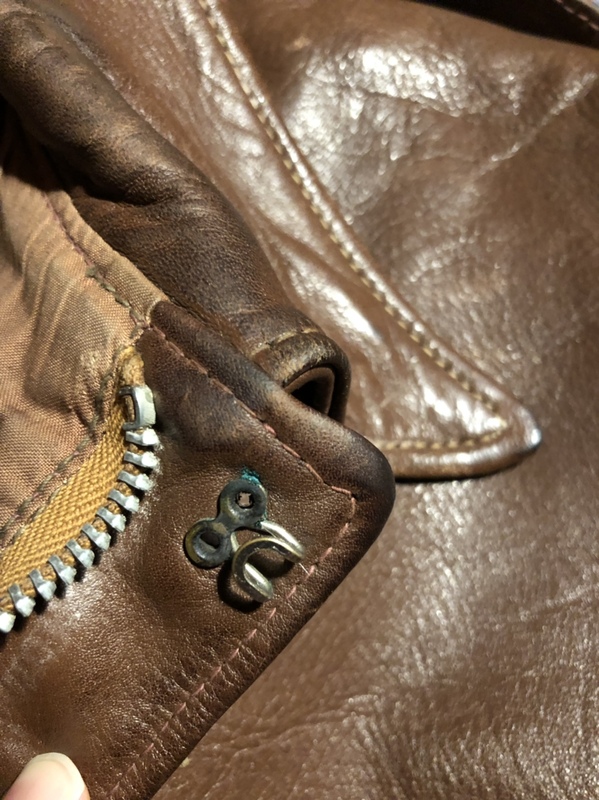 It doesn't appear to be identified to a specific person who wore it during the war so it's history is that it's a WWII production flight jacket and not " Capt. 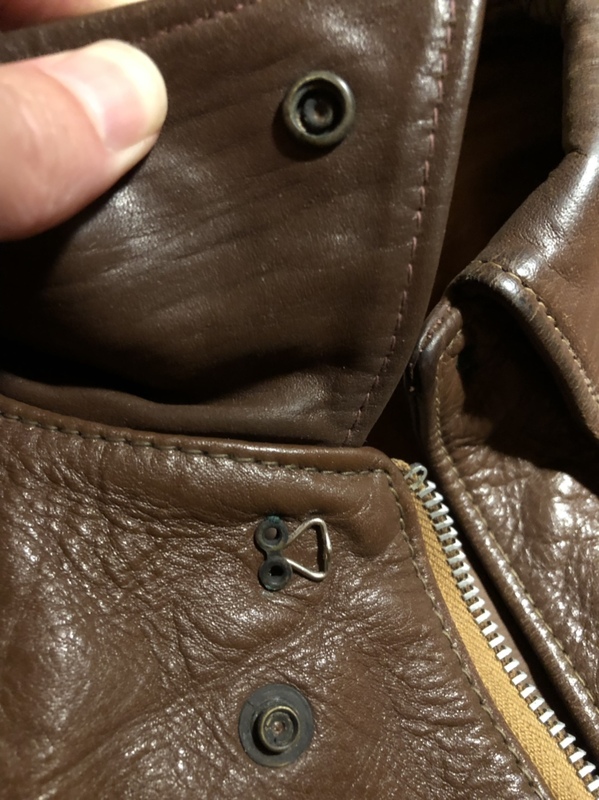 John Doe's combat worn flight jacket from the 4th fighter group that he was wearing for all of his aerial victories"
If it fits and you want to wear it, just be careful (I wouldn't wear it to rake leaves for example) and understand that you are always in danger of ripping out the seams or killing the zipper. Things like that can be mended very satisfactorily but will harm the value overall. Presumably, you didn't pay a fortune at the thrift shop so, the value was minimal up front. And, by the way, the current and pernicious spike in repro A-2 prices means that it's actually cheaper to wear an original than to buy a repro, if you can believe that! I think you should enjoy it however you like. It looks a little dry in the shoulder photo. I would suggest conditioning it if you are going to wear it. Dry leather will be less resilient to damage from the stresses of wear and the elements. Everyone has their favorite conditioner mine is Renapur. I would suggest applying and let set for 12 to 24 hours. Then remove with a lint free cloth. Original A2 without maker's label drops about 50% in value, that what I was told, therefore being from a smaller contract would be much more relevent if it still had the label intact. And based on the condition of your jacket which is very good I think it may have been intended for re-issue in the Korean War but never did. Of course it is just as plausible for it to be from a surplus stock and the label removed for no other reasons. As post above say its got no prevenance and for me you should wear it much better than hiding it, to what die its own death by storing it. Not as work wear but for leisure. If it does'nt fit you why not sell it? I have an original Dubow in great condition thats too big and have no problem letting that go otherwise I would have kept had it fitted me. Thanks for making me feel better about wearing the jacket. It is a good perspective that the jacket lacks the kind of provenance or associations with a specific individual that would make it a candidate for a museum-type item. I agree that these kinds of items need to be seen in order to remain in people’s sphere of interest. 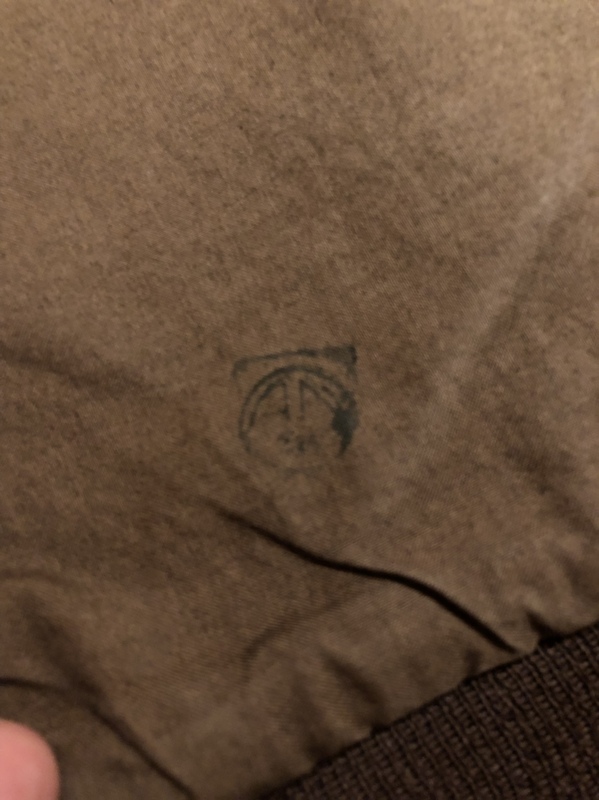 I will try to explain to people who ask about it that it appears to be a WWII item. The Korean War reissue is an interesting angle. Is there more info on that anywhere that I can read up on? It will only be an occasional wear jacket, and I plan to be careful with the zips and knits. It was not a big investment, but that was due to sheer beginner’s luck. I value it based on what it represents. 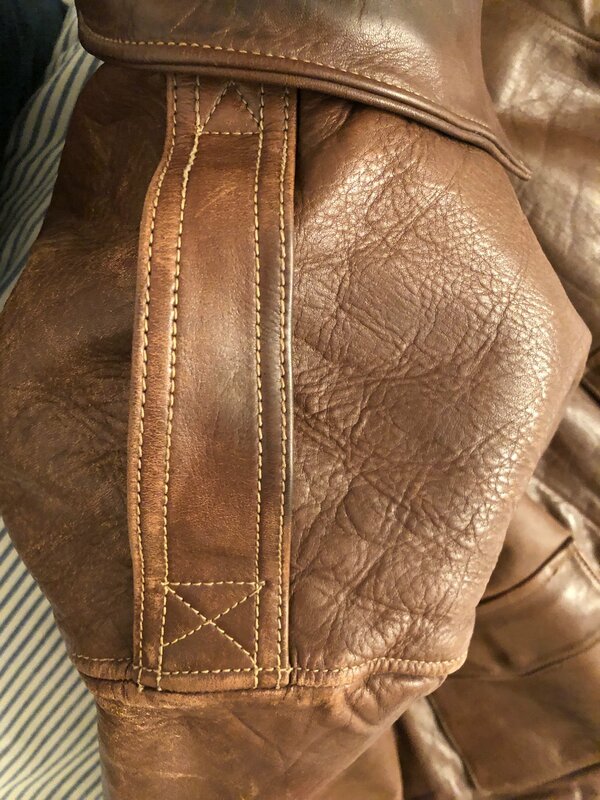 I also agree that it needs conditioning to be worn without risking damage to the leather. I’m going to do some more reading on the various options. Thanks for the Renapur suggestion. I’m also looking at Pecards. The arm/shoulder dryness appears to be from storage (maybe laying flat for a while?) Although doing nothing would seem best from the ‘do no harm’ perspective on preservation, I’m not sure it would be a guarantee against further deterioration. Can anyone help me figure out who made this A2 jacket? I bought it at a local hospice thrift shop. Needless to say, I was not leaving without buying the jacket, despite the missing label. Too many signs of what seemed to be a serious A2 jacket were there: throat clasp, no hand warmer pockets, Talon zipper. Looking at some A2 identification sites, I thought it might be a Bronco or a Poughkeepsie, but the condition looks too good for it to be an original A2. I checked the pockets for additional labels, but no luck. Any resources or leads that anyone can give me are much appreciated. This one is definitely becoming part of my personal collection, so it would be nice to know info about maker and date. Could you tell us where and when you picked up this jacket? Maybe we could figure out who owned it and when by searching the local obits. Good question. I bought the jacket right around the time of my first post about it. Late January by my reckoning. It was in Concord, California out near the airport.